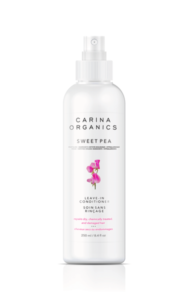 The sweetest smelling leave-in conditioner, it detangles, helps to restore lustre, softness, flexibility, and shine! Directions: Spray into damp or wet hair. Comb through hair from scalp to hair follicle tips.